The long road to freedom for slaves in the Dutch West Indies started on 17 August 1795. A group of almost 50 slaves, led by a slave named Tula, revolted at the Knip plantation of Caspar Lodewijk van Uytrecht at Bandabou, Curaçao. The slaves went from farm to farm, and many slaves joined the uprising. The revolt lasted a month. The revolting slaves lost the first battle, but many slaves fled and started a guerrilla-style warfare. The authorities offered a reward for the capture of Tula, and with success: Tula was betrayed, and arrested on 19 September together with other leaders of the revolt. Tula was publicly tortured and beheaded, and the revolt petered out. August 17 is still celebrated in Curaçao, as the start of the fight for freedom. None of the revolting slaves would see the abolition of slavery. After a long discussion, The Netherlands finally abolished slavery on 1 July 1863. To compensate, slave owners received 300 guilders per freed slave from the Dutch government. Moreover, freed slaves in Suriname were required to work for their former owner for ten years (so effectively they remained slaves until 1873). On 1 July 2002, H.M. Queen Beatrix unveiled a national slavery monument in Amsterdam. It was supposed to be a festive occasion, but for many slave descendants the unveiling was a disappointment. Because of the Queen's presence, security was tight and the general public was kept at a distance, and most could not watch the event. The many people with Suriname, Aruba or Curaçao roots who came to watch the unveiling of (what they considered to be) "their" monument were frustrated they were kept away. The unveiling may have been a disappointment for many, but at least we do now have a national monument. The monument is the location of the annual slavery commemoration. The Dutch National Archive publishes several important databases on their website. Unfortunately, they are only available in Dutch. Vrij in Suriname (Free in Suriname) contains two databases: One of 6,364 slaves freed before 1863, and one of the 34,441 slaves that were freed in 1863 at the slavery abolition. Arbeid op contract (contract labour) contains databases of contract labourers from China and the East Indies that were hired in the late 19th and early 20th century. Koloniaal Suriname (Colonial Suriname) contains databases of free (mostly European) inhabitants of Suriname before 1863. 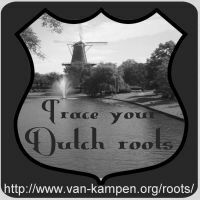 Vrij van slavernij (Free from slavery) contains a database of slaves freed before 1863 (and their owners) on Curaçao.